What is Cryolipolysis and Hifu? Cryolipolysis is a non-invasive procedure used to destroy fat cells to change the contours of the body. It is a great non-surgical alternative to liposuction. Cryolipolysis is also commonly referred to as “fat freezing.” Some common brands of Cryolipolysis machines are LA Lipo, CoolSculpting, Lipoglaze, Clatuu, isoLipo, and 3D Lipo. Hifu is a non-surgical facelift. It’s a great safe, non-surgical procedure which is an alternative to a high-risk surgical option! Hifu can cover specific areas of the face like forehead or frown lines, and we can do a full hifu non-surgical facelift! What Are The Benefits of Cryolipolysis? Cryolipolysis is great for removing unshapely lumps of fat from troublesome areas of the body. It has been shown to cause up to a 20 percent reduction in fat. Cryolipolysis is especially great for reducing or removing those last few areas of fat on your body that you can’t seem to lose, no matter how much you target the area with exercises. A single cryolipolysis session normally takes between 30 minutes to an hour to complete. You will not see immediate results after a single cryolipolysis session, as the body takes time to remove and flush the dead fat cells from the body. Most people will see noticeable results in around 6 to 8 weeks, although it could take as long as 12 weeks to obtain the full desired results. Up to 4 areas can be treated in a single session, and there is no recovery time after your appointment. That means you can conveniently fit cryolipolysis sessions before or after work, or even come in on your lunch break! Hifu can treat your wrinkles that come with ageing or facial accidents. After Hifu treatment Warwickshire your skin will glow again like that of a youth for a long time. It is a skin lifting and tightening non-invasive technique as is not surgical like other skin treatments that may end up distorting your skin completely. It is a safe procedure where your skin will not be cut. This procedure is every effective in all areas! Different areas are treated differently but the ultimate results will be the same and satisfying. The skin tone of the different areas will be the same. A single Hifu session normally takes between 30 minutes to an hour to complete. It has mild effects that disappear after completing treatment. On the onset of this treatment, there will be redness and swelling but it subsides as the treatment goes on this is because the body is experiencing a different process. It treats both the superficial layers of the skin and the deep collagen structure of the skin to increase the production of collagen which gives Hi-fu long term effects. Hi-fu treatment results are felt after going through one procedure which takes approximately 12 months, and the treatment can last someone for years. Our team of experts know the science and have experience in weight loss and body sculpting. Would you like to reduce fat on your belly, get toned legs or sculpt a fat face to get the look you want, all without pain? Sometimes no matter how much we pursue the diet exercise route, we can find that the fat simply won’t shift from our face or certain areas of our body. There is no need to opt for drastic and intrusive surgical procedures to shift that fat: Have you heard of coolsculpting choose LA Lipo instead. Or are you looking for a face lift without having surgery? Maybe a brow lift, or removing lines around your eyes? Surgery, going under the nife or using injections, can be very dangerous. Luckily procedures like Hifu exists to remove surgery and still give you great results! Non-surgical Hifu face lifts are great! With no recovery time and very little short term side effects. Cryolipolysis & Hifu devices and procedures have been approved as safe by the US Food and Drug Administration since 2010. For Cryoliposis the sensation of the treatment is similar to having an ice cube placed on the skin for a prolonged time, although it subsides quickly once treatment is finished. The temperatures used in cryolipolysis are not cold enough to cause long-term damage. Please note that cryolipolysis and Hifu are not suitable for pregnant or breastfeeding women. The side effects of cryolipolysis & Hifu can be mild numbness or tingling, bruising, and redness. But will go away quickly. After both treatments, you can carry on with your day like normal! No recovery time. But we recommend taking things easy and drinking plenty of water. 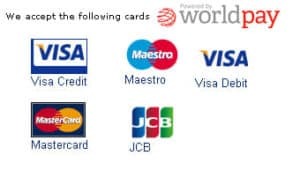 We would be delighted to welcome you as one of our newest clients. As a result, we invite you to explore our site to find out more about what we do and how we can benefit you. We also have some great offers which we advise you to snap up as soon as you can. Got any further queries? Do not hesitate to get in touch with us! Book your appointment today and start blasting away that unwanted fat the quick and painless way. Liposuction is going out of fashion. It is one of the more painful cosmetic surgeries that you can get, and it can take weeks to recover from, during which time you are left with bruising and your movements and daily activities can be severely limited. Lipoglaze is very similar to LA Lipo fat remove treatments are a fantastic alternative to this. They use very cold temperatures to blast fat cells, killing them and causing them to break up and dissipate naturally through your lymphatic system, to be excreted in due course by your natural bodily processes. No pain is involved in this fat reduction procedure, it takes less than an hour in the clinic, there is no recovery time and you will start to see noticeable results in days. If you have ever had a laser hair removal done at the salon, you will find that the process is similar: pain free, quick – and pretty relaxing. You can even be treated at home if you prefer. With this cold process, rather than feeling like a patient undergoing surgery, you will be feeling like you are being pampered at a salon. This super cold technique can be applied to plenty of different areas, including the upper arms, thighs and abdomen, but it is all arranged so that you do not obtrusively sense the cold. If you have ever wrapped a bag of peas in a towel and put it onto a bruise, that is what our technique will remind you of. 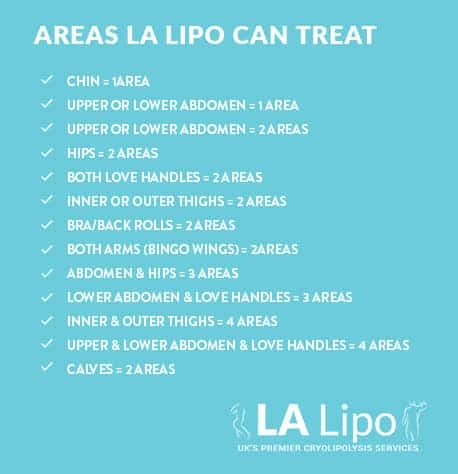 LA Lipo Cryolipolysis Warwickshire offers a national fat freezing service for targetted weight loss for Men and Women. Proven weight loss solutions Warwickshire in a fast and effective way. For the whole body its a cost effective and safe way of getting toned without going tot he gym or waiting weeks. Call us today in Warwickshire to get the body of the your dreams.